There must be some trick. Urban life can’t quite be this happy. There are three candy-colored glow-zones. Pink walls light the space. A demarcated zone glows in yellow from a bar fridge; from the side, a lavender color cloud. A bar is supposed to be at this very address. From the street, through the window we see two smart women at the counter framed by light. Are they fronts for candy, mass-market Chinese snacks? Their mood makeup, so neat and surface-perfect, gives them away. 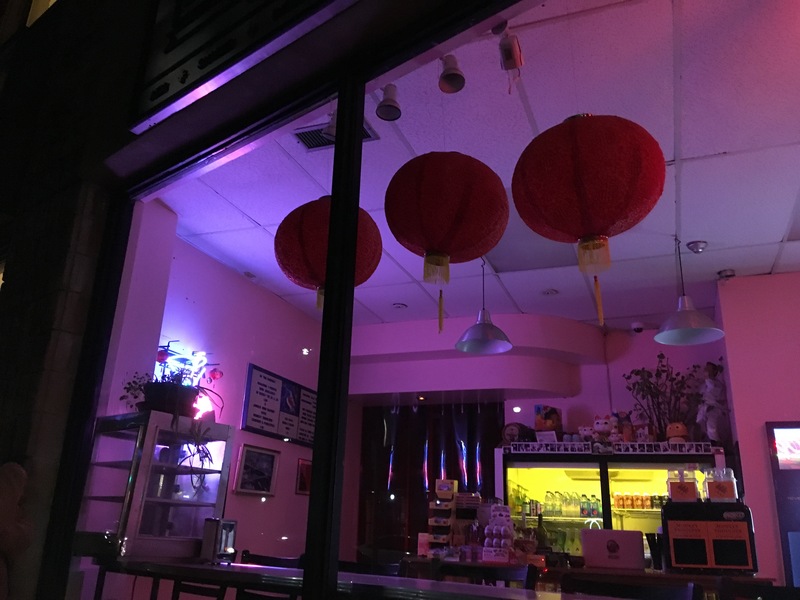 They give it up – behind a red door is a “secret cocktail bar,” Mahjong Bar in Toronto. Everyone has a front. It may be artificial, but at least it glows. 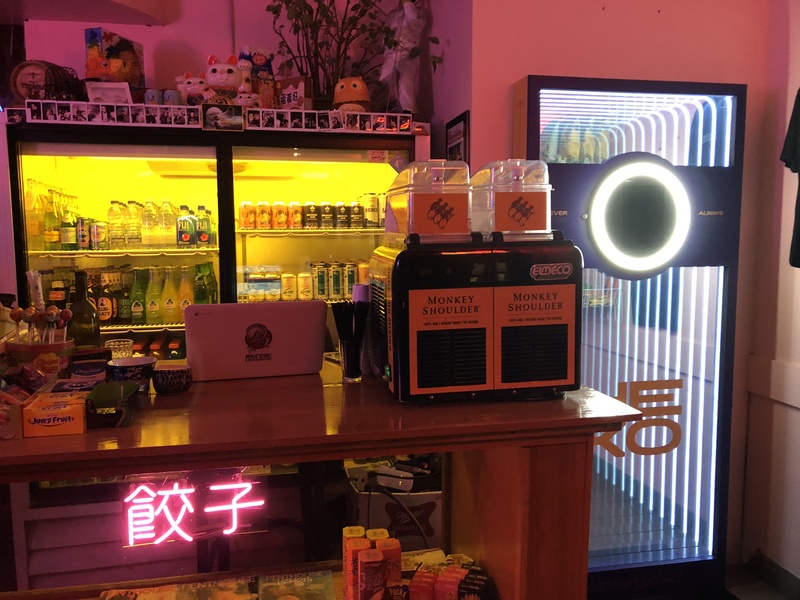 This entry was posted in Uncategorized and tagged Bodega, Mahjong Bar, Monkey Shoulder, Speakeasy, Toronto. Bookmark the permalink.